Students gain learning experiences in the taxation and accounting field while also providing cost-free tax services for low-income residents in the San Fernando Valley through the Volunteer Income Tax Assistance (VITA) program at CSUN. The Bookstein Institute for Higher Education in Taxation offers three accounting classes and a paid position as an operations supervisor, where students can enroll based on experience level and volunteer for the CSUN VITA Clinic, which is a part of the David Nazarian College of Business and Economics. 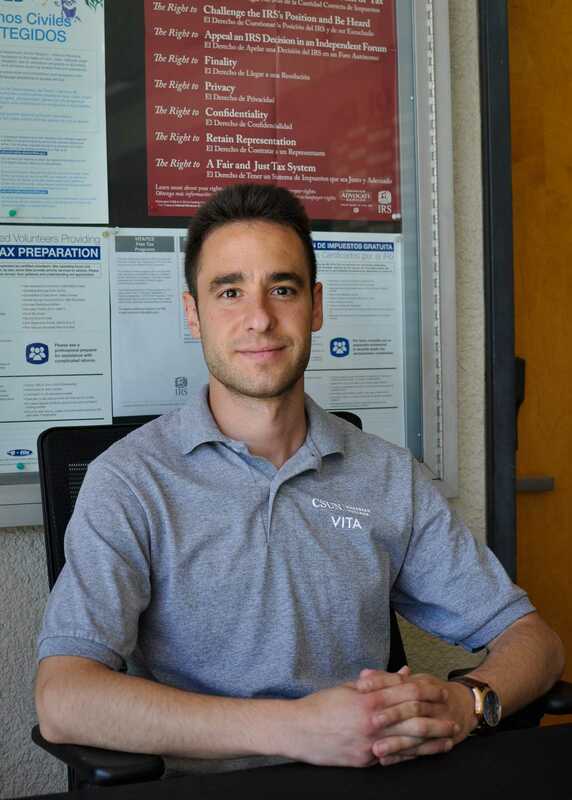 Beginning in 1970, the VITA Clinic now has 12 locations and over 400 student volunteers, and has serviced over 7,000 San Fernando Valley residents and filed over $8 million in tax returns in 2018. The clinic has assisted over 7,500 people, more than half of which were outside of CSUN, and is projected to increase 10% for 2019. Wells Fargo donated $50,000 and the Bank of Hope donated $20,000 to CSUN in 2018 to help expand VITA locations beyond the San Fernando Valley. A new initiative, called CSU 5, will expand the clinic to five state campuses and six community colleges across Southern California. Students from all majors are able to enroll in the first-level accounting courses and in the higher levels once volunteer hours are done in the prior year. Efrat said the class is offered to anyone who wants to learn about taxation. Students can provide assistance based on their area of education, such as Spanish and deaf studies majors who can interpret, and marketing majors can advertise the clinic. Students in the course do 32 hours of training at the beginning of the semester before starting volunteer hours. Volunteering hours vary based on class-level and based on schedule, and volunteers are placed at different locations. Students and residents that have made less than $54,000 the year prior qualify for no-cost income tax services. The program runs until April 15, which is the last day taxes can be filed.